Maybe this place was called Voyage voyage earlier. Visit this restaurant to have a meal if you feel hungry after gazing at Marianske Square. Žilinská Kozlovna offers you great dishes of Austrian cuisine. A lot of visitors point out that waiters serve good salads, pizza and chicken here. A number of people note that you can drink delicious beer or good wine at this place. It's easy to find this spot due to the great location. Most guests indicate that the staff is appealing. Service at this restaurant is something one can call spectacular. 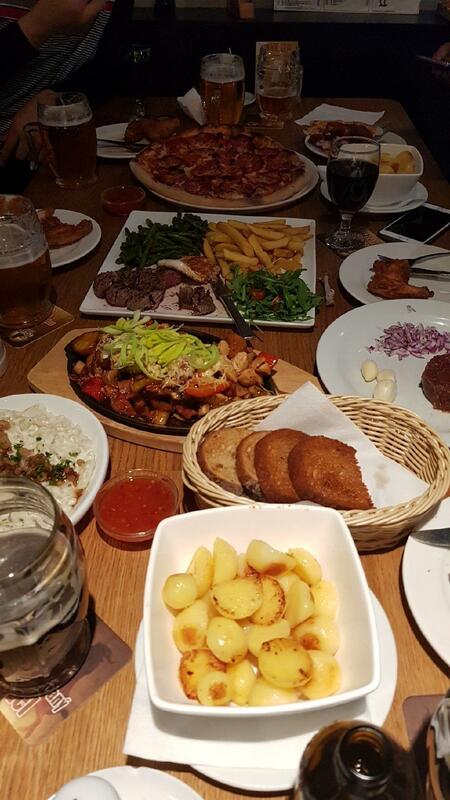 Many reviewers mention that the dishes are offered for attractive prices. You may pay your attention to the lovely atmosphere. On TripAdvisor, clients say that Žilinská Kozlovna is worth the 4 star rating. it was excellent and everything amazing. Good food. Good beer. Good atmosphere.